418 Harding Drive in Lebanon 37087. Contact Rebecca @ 615-444-9355 x233. JOBS! – GET A JOB NOW AND FREE WORKSHOPS! 11AM-12N | FREE WORKSHOP - NO WORKSHOP TODAY. 8AM-4:30PM | CLOSED DUE TO THE HOLIDAY! 8:30AM-4:30PM | CLOSED DUE TO THE HOLIDAY! 8AM-4:30PM | NO RECRUITERS TODAY. 10AM-11AM | CAREER CONNECTIONS – NO WORKSHOP TODAY. ATTENTION JOB SEEKERS: Get quick tips and/or a JOB from on-site employers/recruiters! It is crucial for the job seeker to establish goals to accomplish tasks and milestones as you work toward achieving the ultimate success of gaining employment. With a fiercely competitive job market, it’s important to have your resume stand out from the crowd. This workshop will provide you with the insights on how to make your résumé top notch. 11:00 am – 12:00 pm | TRANSITION ABILITY: KEEPING THE JOB YOU GET! What will it take to ensure your smooth transition into the new job? Learn the tips to keep it! Master the art of a powerful interview! Make sure that they (employers) remember you! Developing your network is essential in making lasting relationships and opening up new opportunities. This workshop will discuss some best practices in developing your skills and growing your network. Master the art of a powerful interview! Make sure that the employers remember YOU as the MOST QUALIFIED! 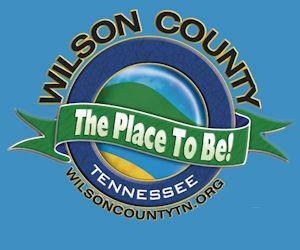 11:00 am – 12:00 pm | Jobs4tn.gov: What Can it do for You? Learn about the many uses and options that are available to you in Jobs4tn.gov! Maximize your opportunities! THE CENTER WILL OPEN AT 11AM ON MONDAY (1/9) DUE TO STAFF OFF-SITE MEETING. JOBS! – GET A JOB NOW! & FREE WORKSHOPS! 418 Harding Drive in Lebanon 37087. For additional details, contact Rebecca @ 615-444-9355 x233. NOTE: THE CAREER CENTER WILL BE CLOSED ON MONDAY 9/5/2016 DUE TO THE LABOR DAY HOLIDAY. JOB FAIRS- Almost Daily - 9am-1pm (unless noted) and FREE WORKSHOPS on Tuesdays and Thursdays - 10am-12Noon at the CAREER CENTER - 418 Harding Drive in Lebanon 37087. Contact Rebecca @ 615-444-9355 x233. *Refreshments Provided! Meet our advisors, education providers, financial aid professionals. Learn about our program and see how we can help you Reconnect…. *Are YOU ready? JOB FAIRS- Almost Daily - 9am-1pm (unless noted) and FREE WORKSHOPS on Tuesdays and Thursdays - 10am-12Noon at the CAREER CENTER - 418 Harding Drive in Lebanon 37087.